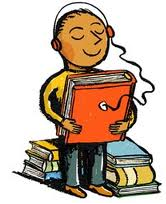 Audio story books are a great means of improving learners reading and listening skills. There are several website resources now offer free audio materials but not all of them are free. To look for quality audio books that are free can take you a lot of time and energy. In this regard and in an attempt to make it easy for educators visiting Educational Technology and Mobile Learning to get a free access to the materials I have been reviewing here about the best websites you can browse for free audio books, I have compiled a list of links in a presentation that you can download and share with your students. I have reviewed all the links included and if you want to read the review just click on any title and you will be directed to the post. Just a quick reminder: Some of these websites do require a sign up in order for you to start reading or downloading their materials. It normally takes just a couple of minutes so if you feel like that is the website you want to be using then it is worth registering with. The presentation is done both using Google Docs and Issuu.